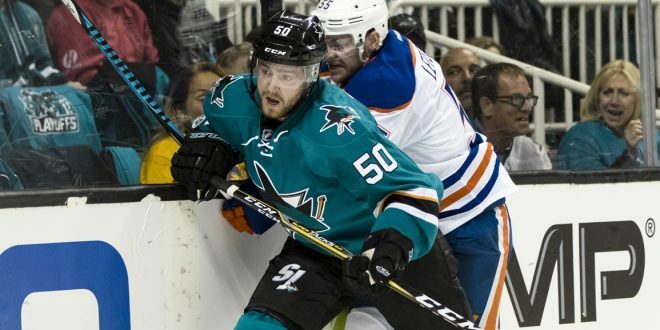 The Stanley Cup chase continues for the San Jose Sharks, who face a one game deficit opposite the Edmonton Oilers. The Sharks are one of six teams who are behind in their respective series totals in the playoffs thus far. They’ll look to tie it up at an even 2-2 against Edmonton at home on Tuesday night in San Jose, with the franchise’s first Stanley Cup being the endgame. With the latest contest going in favor of the Oilers, we look back at the previous three games thus far. Firstly, San Jose would come out swinging in game one, overcoming the Oilers in overtime 3-2. The OT win would be a result of a goal from Swedish RW Melker Karlsson with an assist from C Joe Pavelski and D Marc-Edouard Vlasic to seal the game one victory. The Sharks were looking to go 2-0 in enemy territory on the road. However, Edmonton would retaliate with a game two shutout home victory against San Jose by a score of 2-0. The first goal came from Edmonton RW Zack Kassian, who scored 42 seconds into the second period. C Connor McDavid scored the final goal in the third period. This would tie the series and give the Oilers momentum going into San Jose for game three. The series would then head to the SAP Center in San Jose, CA for a two-game stretch and the Sharks were looking to defend home ice. The Oilers would ruin the hopes of a game three home victory for the Sharks, who would gain Joe Thornton back in the rotation. Due for an offensive outburst on Tuesday. 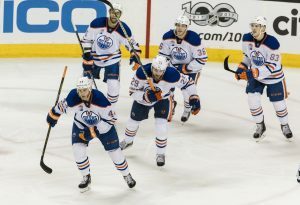 The game went back and forth, remaining scoreless until the third when Zack Kassian scored the lone goal of the game at the 10:45 mark of the third period. The Edmonton RW would be unassisted in the scoring play, scoring the game-defining goal for the second game in a row. The team now holds the 2-1 series lead against San Jose and look to go for a two-game road streak. What does San Jose have to do to even the series at 2-2 and get an important home win? There’s one player who hopes that he can lead the team to victory on Tuesday night. One of the biggest keys for San Jose comes in the form of a veteran for the team. 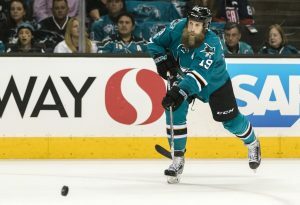 Sharks C Joe Thornton, coming off a game three return to the lineup, looks to prove that he is healthy and “ready to go” for game four. Thornton is coming off an injury on April 2 in Vancouver. 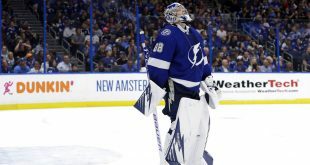 This would result in him being braced for the first time in his career after missing the final three games of the season, along with the first two of the series against Edmonton. Thornton would make his impact known in game three, putting up two shots on target out of four. After that game, he would respond to the loss with nothing but respect toward the opposition. He would say that San Jose lost to a “really good hockey team” in game three. The series between the Sharks and Oilers continues on Tuesday night at 10 p.m., from the SAP Center in San Jose, CA. The game will be broadcast live on the NBC Sports Network. For continuing updates, follow the Sharks and the Oilers on Twitter for up-to-date highlights on the series. You can also stick with ESPN Gainesville for further developments as the Sharks race toward their first Stanley Cup in franchise history. Stephen Cabrera is a current University of Florida Journalism student and fan of football, basketball, mixed martial arts and professional wrestling.